A patent attorney is a legal specialist in intellectual property (IP) and, of course, patents. They also deal with trade marks, copyright legalities and design rights. There are approximately 1,500 patent attorneys working in the UK. When compared to the number of solicitors in England and Wales (c120,000) and barristers in the UK (c15,000), it’s clear that patent attorneys are a select group of specialists. Patent attorneys are legal experts who work for clients to help them register a patent, deal with infringement or get advice on any other area of IP law. A client could be a creator/inventor or a company working on a new idea. While there is a lot of work surrounding obtaining new patents, they will also spend a time enforcing existing patents and designs. They can also play a part in the sale or transfer of a patent. Where would a patent attorney work? Usually, patent attorneys can be found working at a specialist firm. However, they can also be employed in-house at large firms within the patent and IP departments. It’s more usually to work in private practice, with about 80% of all patent attorneys in the UK working in this way. About 50% of patent attorney trainees are working in, or near, London, with a further fifth working in the South and South East of England. The rest are spread more or less evenly across the rest of the UK. Patent attorneys complete their training on the job, supplementing it with independent study and external courses. In order to become a Chartered (UK) Patent Attorney and a European Patent Attorney, trainees will have to complete and pass various exams. It takes approximately four or five years to become fully qualified. 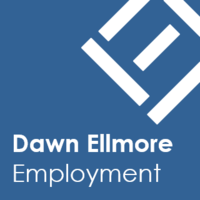 Trainees can expect a salary between about £26,000 – £34,000 per annum, with significant increases when they qualify. Newly qualified patent attorneys can expect to be paid between £50,000 – £63,000, while those at the very top can receive a six figure salary! Is it difficult to become a patent attorney? The reason the salaries are so attractive is because it’s a specialist skill. Within a small and specific profession, there are relatively few trainee roles open every year. After a role is found, it will then take four to five years of hard study to become a Chartered Patent Attorney and a European Patent Attorney. It needs dedication and drive as a career. Patent attorneys need to have a solid and thorough grounding in technology and science. This is because they need to be able to fully understand the technology they are working on, in order to provide a description and definition. There is generally the need to be able to create and develop technical arguments. Most patent attorneys will come into their trainee role equipped with a degree (minimum 2:1) in an engineering or scientific field, such as physics, engineering, chemistry or biotechnology. Many patent attorneys also hold post graduate qualifications, such as a Master’s degree or a PhD. Figures from the Chartered Institute of Patent Attorneys show that a third of all patent attorney trainees hold a PhD, while another third have a Master’s. As well as the scientific and engineering understanding, graduates who want to become a patent attorney also need to be able to show an understanding of the law. Some might gain a post graduate certificate in Intellectual Property Law but this isn’t mandatory. Oral and written communication skills are very important for this role also. The ability to work in French and German is also helpful, but not essential, as most patent attorneys in the UK Britain are also European Patent Attorneys and work to secure patents in other countries as well. 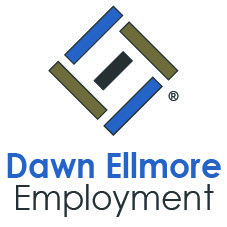 To find out more about patent attorney roles, contact the team at Dawn Ellmore Employment. We’d be happy to talk through your requirements.